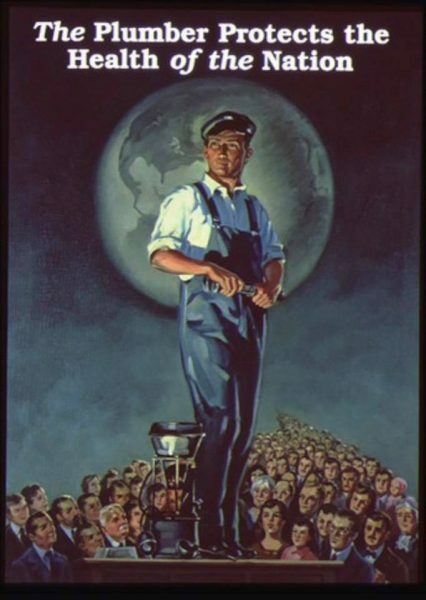 American plumbers adopted the slogan, “The Plumber Protects the Health of the Nation” in the early 20th Century, as a reminder to the public of the importance of sanitation that the plumbing profession provides. The importance outweighs the greatest medical milestones and breakthroughs in history, like antibiotics and anesthesia when comparing the two professions, making the plumbers the first line of defense when it comes to protecting the public’s health before medicine. People don’t understand that when homeowners try to save few bucks by doing their own plumbing, sometimes they cause cross-connections that may be putting themselves and their neighborhood at risk. Thankfully, we are licensed professional Plumbers who can fix the problems before they get too dangerous.